I can proudly say I was once reprimanded by the late Shammi Kapoor. Because I was 10 minutes early for my interview with him. Hailing from the first family of Bollywood, he was the heartthrob of his generation, known for his unique dancing skills. 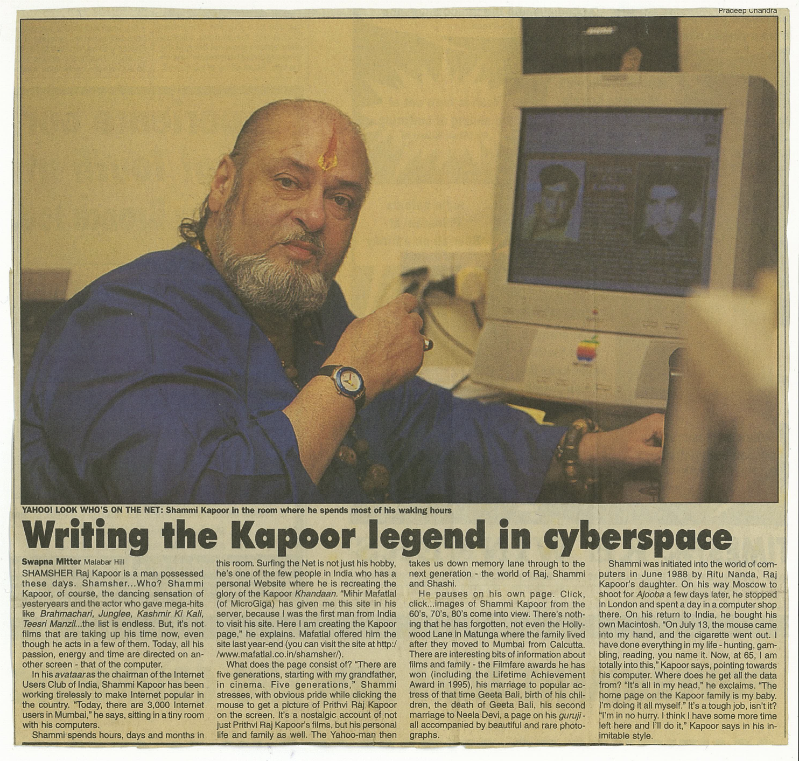 In the 1990s, Kapoor became the unlikely face of the Internet revolution in India. His new avatar was equally fascinating and this remains one of the most cherished interviews I have done till date.